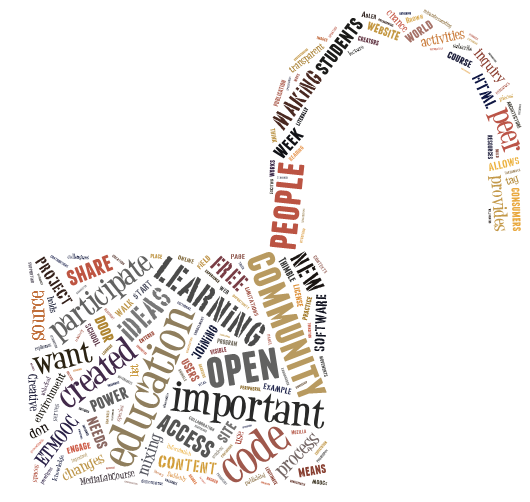 This past week, I had the chance to delve deeper into the idea of open education and open education resources (OER) thanks to both #ETMOOC and the #MediaLabCourse. Before this week, I hadn’t spent much time considering the differences between “open” and “free” and the power they can bring to people around the world when they are combined together. Free is valuable for the accessibility it provides but open, I discovered, means much more than just making something accessible or available to the public. It also means providing transparency and the blueprint for how and even why something was created. This unique insight into how something was made (e.g., a website, a software program), allows users to make the transition from consumers to creators much more easily. Suddenly, the plans behind a product are not only visible but they’re also “unlocked” and available for re-mixing, mashing, and updating so that they can meet the needs of individual contexts and previously unimagined goals. It’s quite literally like holding the “secret code” in your hands to a door you might never have known existed before and then being able to enter that code in, walk through the door, and start making changes to the entire architecture of a place, program, or site. Of course, one of the benefits of the open learning movement and the open education community, is that you don’t have to walk through that door alone. It’s similar to the community that has evolved around #ETMOOC when we all walked through the “door” of this free, open course and began to collaborate together. You join a community of other users who have also entered into an open space and who subscribe to a philosophy of open, shared inquiry and peer-to-peer learning. One of the key takeaways from the open educator’s panel and the Open Learning session I watched was the value and power of the community. These open source communities serve to provide a place for “legitimate peripheral participation” in the words of Brown & Adler, where the process of joining a community “counts” as learning and new students can “engage in ‘learning to be’ even as they are mastering the content of a field.” I find this so exciting and freeing – the idea that you can learn as-you-go without needing to start as an expert, with the expectation that you will fail sometimes, and you can do it among a community of new peers and colleagues who are eager to support your growth. One of the best examples I have found to help concretize and demonstrate open learning is the Mozilla project and specifically Thimble. I was excited to see all of the activity happening for Open Education Week including the launch of Mozilla’s Open Badge system. Of course, after I learned about it, I wanted a badge! So I started a Thimble project that I thought connected well with the open theme: Open Webville, which was created by the new School of Open. In the first project, you have a chance to play with the HTML code for a website while also learning about Creative Commons Licenses by adding new text and CC images. 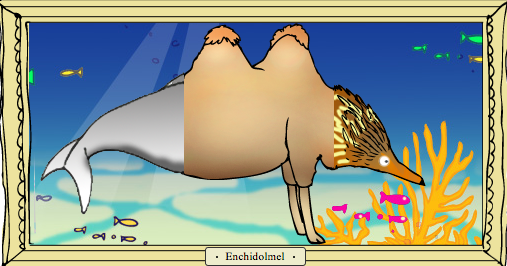 Next, I tried out some literal re-mixing of animals to build a site about my fictional endangered species, the Enchidolmel. While making my page, I had the opportunity to re-mix code in a scaffolded environment, learn about new HTML tags and apply the knowledge I had learned/practiced while making my last page. I was also engaged in learning about real endangered species as I created my fictional animal and maybe most important, I was exposed to the idea that I can be a creator and re-mixer of websites. I was shown that I have the power to take code and images and hack them to create something new that makes sense and holds meaning to me and then I can share that with the world! These are the types of activities that I think are vital for our students to experience. 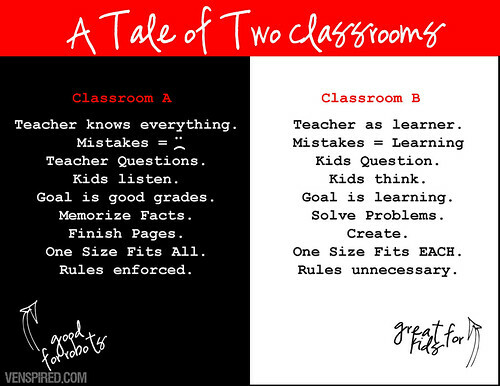 They hit on so many 21st century skills and breakdown barriers to learning, creation, publication, and sharing. I can’t wait to try another Thimble project … and collect some more badges! Have you tried any? Will you introduce this site to your students?